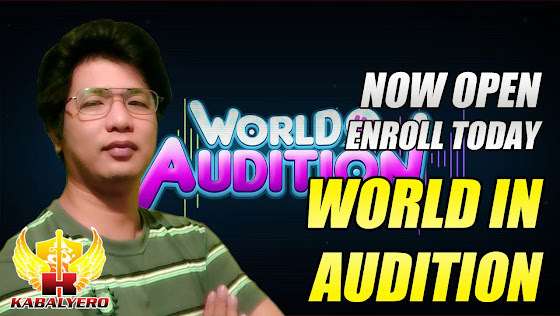 World In Audition Philippines Is Now Open - KABALYERO - PLAY, BLOG & EARN! World In Audition Philippines is now open. Enter Star Training Academy to become the next Superstar. World In Audition Philippines is a free-to-play multiplayer online game where your avatar tries to become popular by dancing. Yes, dancing and you do it by pressing your spacebar key. I'm sure there is more to the game than just pressing the spacebar key and if you guys are into that kind of thing and you are in the Philippines then World In Audition Philippines is waiting for you. Just create a new free account (if you don't have one), download the game from its official website (the link is in the description of this video), install it, run it, login to your account, set your second password and dance the night away.